The Institute was originally founded for the purpose of carrying out the programme of Adult Education through economic co-operation for the adult population of Lesotho. To realise this objective a variety of programmes such as the Credit Union scheme for Agriculture, SODEPAX, Co-operative Development, public lectures, training in public administration and courses for business people were undertaken. In carrying out these activities, various educational techniques were employed: personal contacts, villages study clubs, mass meeting, leadership courses, conferences, short courses, anniversaries, rallies, publications, radio programmes and development oriented newsletters. The work of the Institutes has, over the years, been generously assisted by governments and international agencies such as Miserior, Canadian International Development Agency, Oxfam, Dulverton and Leverhulme Trust, Catholic Relief Services, USAID, UNDP, Kellogg Foundation, DVV, NOVIB, ILO and many other Partners in various ways. The purpose of the Institute of Extra-Mural Studies is to bring the University to the people by using the facilities and resources of the University for the Education of the adult population and the youth of Lesotho and for their economic, social and cultural development. It endeavours to do this in consultation with the appropriate Government Ministries and Departments, agencies, parastatals, academic faculties and private sector institutions. To this end, the Institute aims to encourage, assist and co-ordinate the efforts of the academic departments in all forms of University Extension. IEMS shall be a dynamic institution for national development, which reaches out to all population groups and empowers them to improve themselves educationally through short non credit courses and university level credit programmes. Dr. Bothephana Makhakhane is the Director of the Institute of Extra Mural Studies. 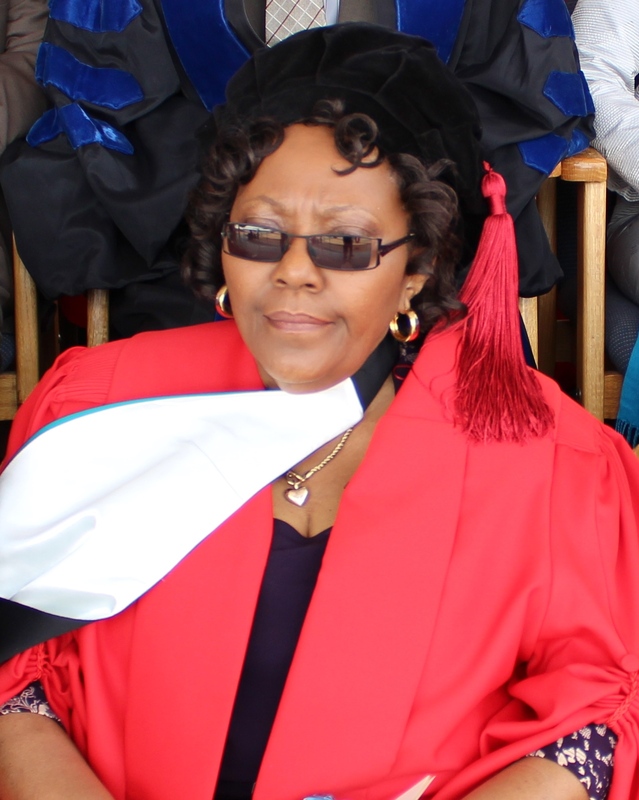 She started as a lecturer in the department of Adult Education. She has been a coordinator, a head of department and a deputy director. Currently the Institute is transforming from a purely part-time mode into an Open and Distance Learning mode in order to respond to the current needs to open more access to NUL Programmes to more Basotho who are not able to attend full time. It is a great pleasure for me to welcome you to the Institute of Extra Mural Studies. I congratulate those joining us for the current academic year. This is a step towards accomplishing your educational goals. During your stay as learners you are going to encounter a lot of challenges which I believe you will be in a position to address them accurately. Our role as an Institute is to contribute towards providing high quality Open and Distance Learning Programmes. We do acknowledge that for most of you this might be the first time you are studying through distance mode hence you may face problems, we are available and willing to discuss any challenges you may be facing as a distance learner.